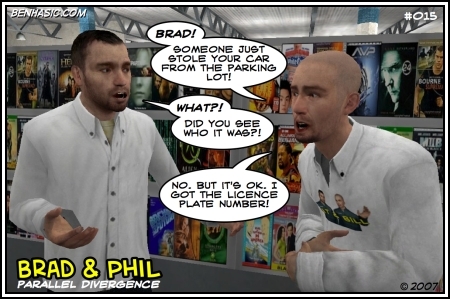 Brad & Phil were first introduced in “The Staplix“, a take off of The Matrix where a complicated fight scene involves Staplers as weapons. 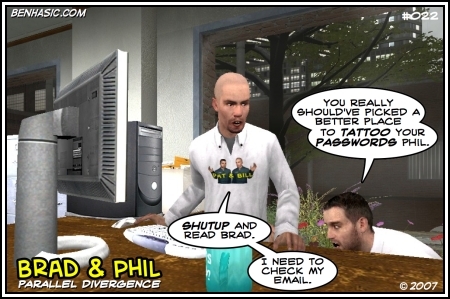 The accidental destruction at the end gave me the idea for the “Brad & Phil’s Extreme Office Games” Series – a six part extravaganza of office mayhem and hilarity. 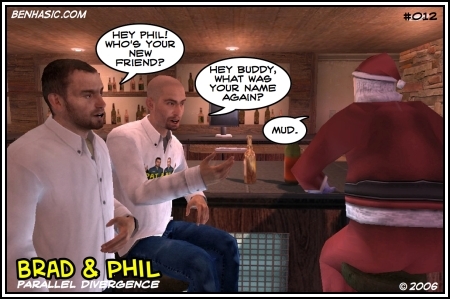 This series was rated 5 stars at both PHWonline and Facepunch Studios by hundreds of readers. 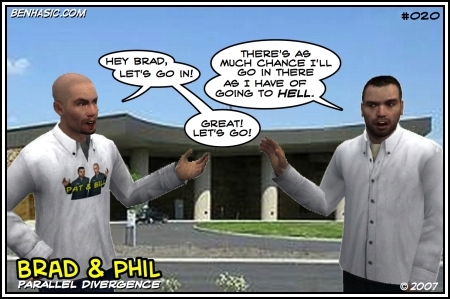 Brad & Phil will be back soon. 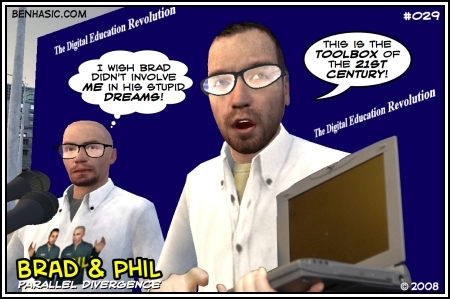 After the success of the first series of Brad & Phil, I began work on Mrs Hernandez. 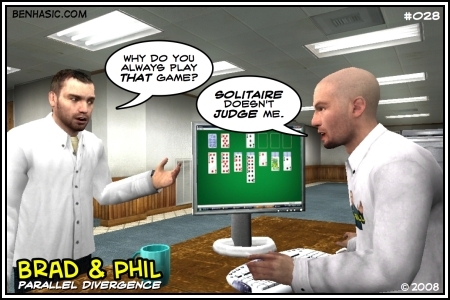 Mrs Hernandez made her debut in “Brad & Phil’s Extreme Office Games: Final Jeopardy“. 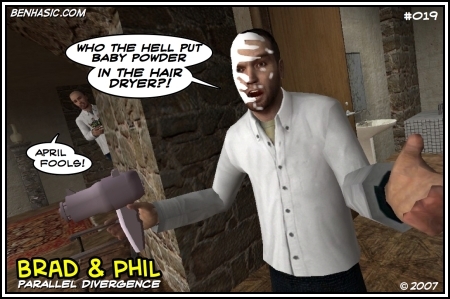 She is a Contract Cleaning Machine who loves to see a tidy office and wants to keep it that way. 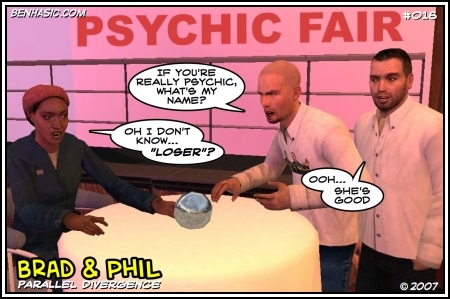 She only had 3 issues but they were a big hit over at PHWonline. 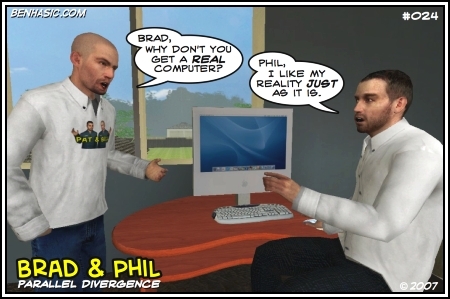 Since Brad & Phil got fired from the office, they have had to find something else to fill their time. 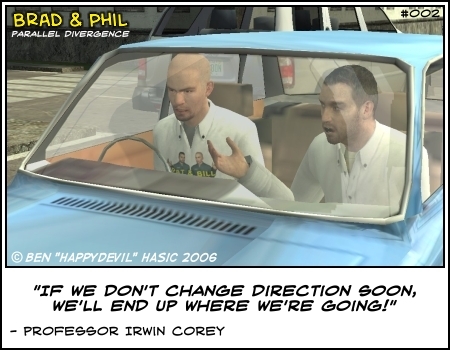 After I got the new Brad & Phil skins thankfully made by the w00t, I started work on the new Brad & Phil Series, Brad & Phil – Happydevil. 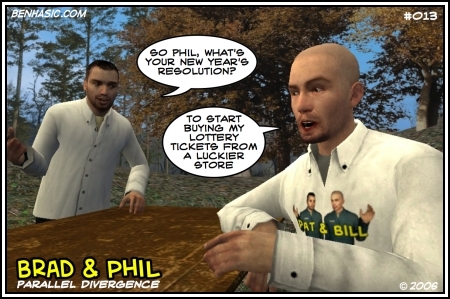 This series follows Phil through his “tranformation” into Happydevil. 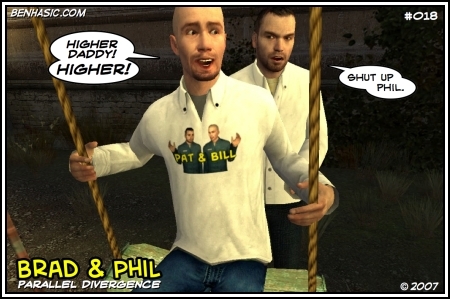 Set straight after the end of Brad & Phil – Happydevil, Brad & Phil Series 3, brings up new adventures as Brad & Phil try to make new Comic Situations for Happydevil, the comic writer. 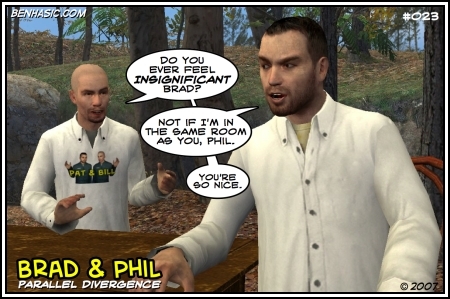 Hilarity ensues as the two once again try to find Phil’s “true identity”. 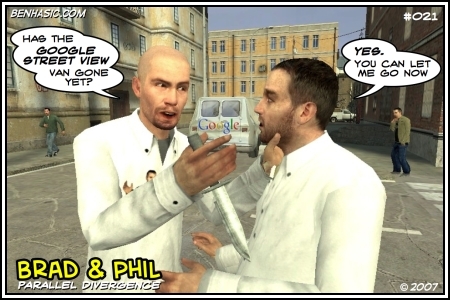 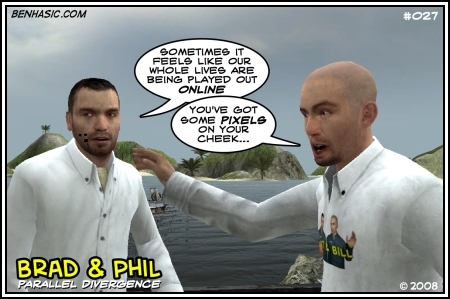 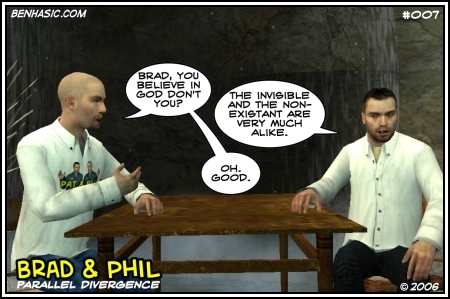 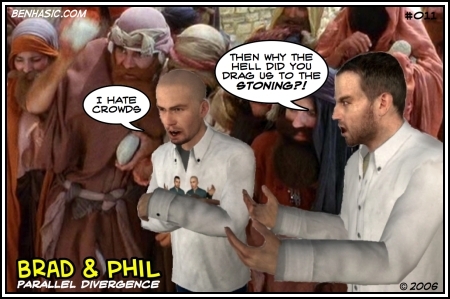 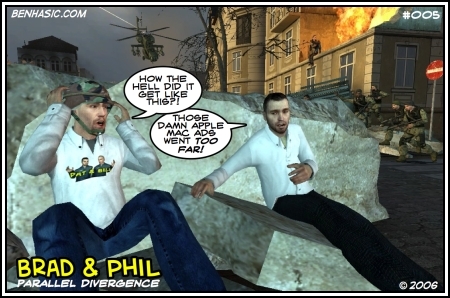 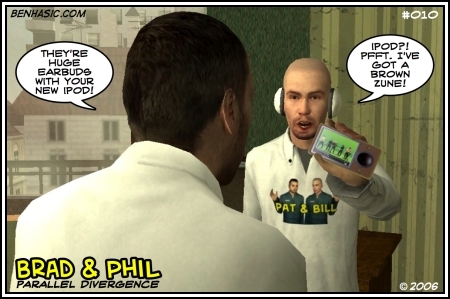 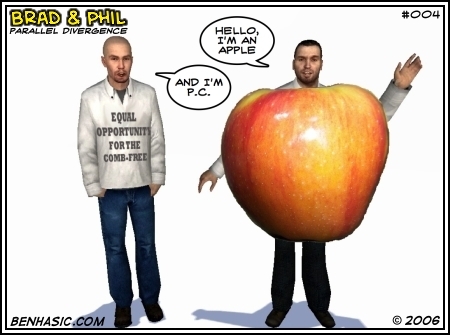 Brad and Phil also appear exclusively in a series of cartoons relating to each post on the Parallel Divergence blog, adding their unique spin to each issue being discussed. 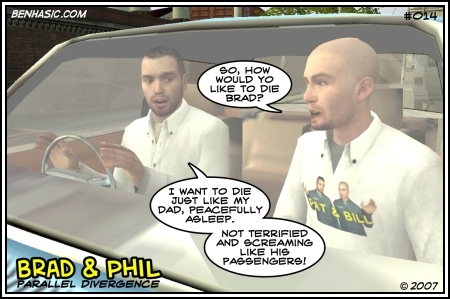 Below are all of the Brad & Phil single cartoons together in one place, from newest to oldest, together with a brief introduction to each article.